Bartenders and home enthusiasts alike are enjoying a golden age of cocktail books. From techniques and science to recipe collections from award-winning bars and in-depth histories of classic cocktails, there’s a myriad of new books for imbibers to add to their collections. Recent books include the updated and expanded second edition of David Wondrich’s seminal work, Imbibe! ; gaz regan’s The Negroni; and Cocktails on Tap by Jacob Grier. In August, keep an eye out for The Cocktail Chronicles by Imbibe Magazine Executive Editor Paul Clarke, and October sees the release of The Dead Rabbit Drinks Manual. Even in such esteemed company, a book by Julie Reiner is sure to stand out and capture the attention of cocktail enthusiasts. 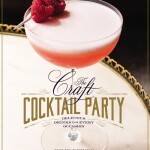 The acclaimed co-owner of Brooklyn’s Clover Club and the Flatiron Lounge in Manhattan has published The Craft Cocktail Party: Delicious Drinks for Every Occasion (Grand Central Life & Style). Named one of America’s “Top 10 Mixologists” by Food & Wine and nominated for a James Beard Award, Reiner has been featured in publications like the New York Times and Bon Appétit and has also appeared on the Today Show and the Food Network. 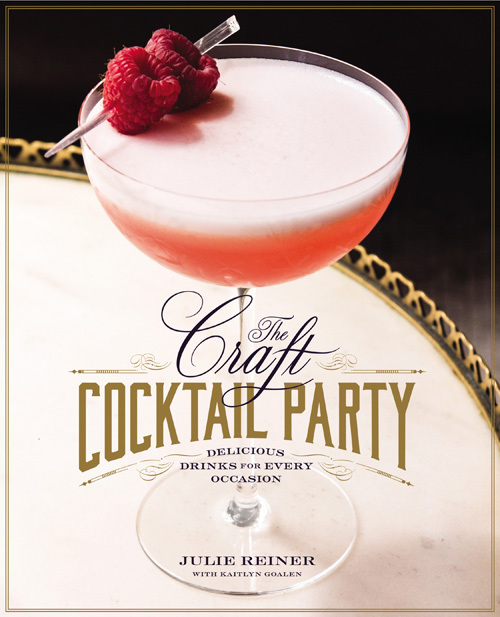 Touted as a book “that provides inspiration for the rest of us, and not only the cocktail geeks,” The Craft Cocktail Party is not intended to be a comprehensive bartender manual. Instead, the focus is on making cocktails at home for special occasions, gatherings large and small, or even a party of one. In a home setting, the rules are more flexible and the reader is encouraged to “take certain liberties.” The book sections are organized into the four seasons, which Reiner calls “my muses behind the bar.” Chapters feature a mix of holiday-inspired cocktails, classics and new creations, such as “From Tiki to Modern Tropical” in Summer, “Fireside Drinks” in Fall, “Sherry Sherry Christmas” in Winter and “Brunch” in Spring. 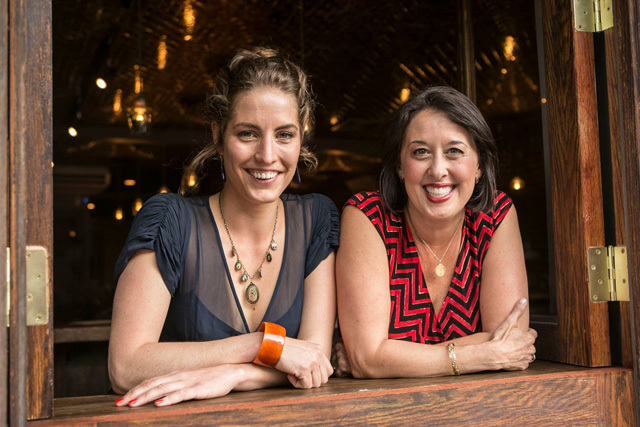 The Craft Cocktail Party was published in May, the same month that Reiner opened Leyenda – a Latin-inspired cocktail bar a block from Clover Club – with her protégée, Ivy Mix. 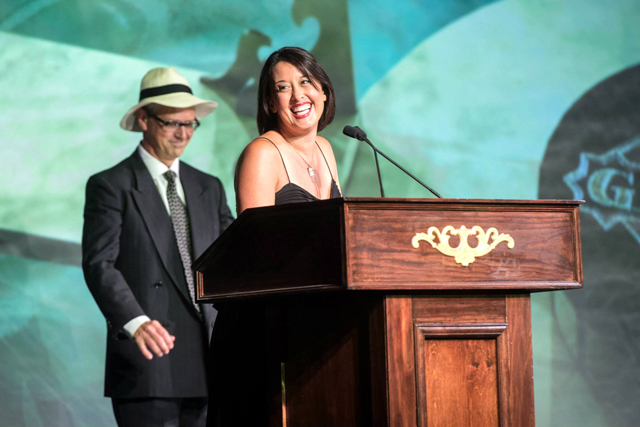 Through Clover Club, Flatiron Lounge and her partnership with Audrey Saunders in Pegu Club, Reiner has mentored an entire generation of bartenders – many of them have opened their own bars in New York and across the country. After the jump, two cocktail recipes from The Craft Cocktail Party, the Maria sin Sangre and the Uncle Buck. Think of this drink as a Bloody Mary on the fly. Forget the canned tomato juice; here, the freshness of summer’s favorite fruit is muddled directly into the drink. 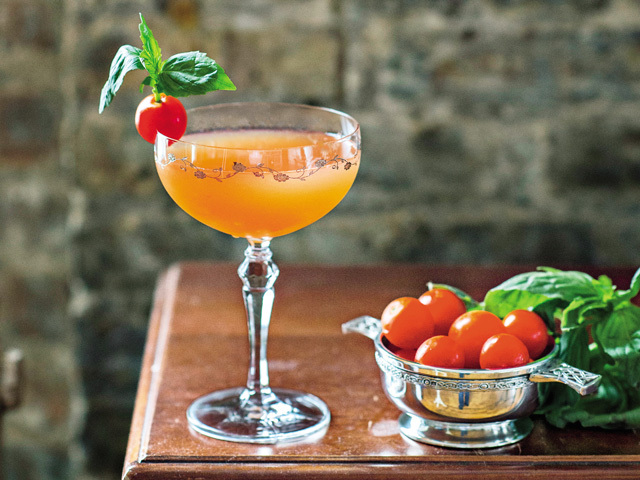 In the bottom of a shaker, muddle the tomatoes and basil in the simple syrup. Add the tequila, sherry, lemon juice, salt, and pepper and shake with ice until chilled. Double strain through a fine mesh sieve into a coupe glass. To create the garnish, pierce a small hole in the top of the tomato and insert the stem of the basil leaf like a flag. Make a slit in the bottom of the tomato and perch the tomato on the rim of the glass. To make this drink in larger yields, pulse the tomatoes and basil in a food processor 5 or 6 times, then strain through a fine-mesh sieve or a piece of cheesecloth and discard the solids. Excerpted from the book THE CRAFT COCKTAIL PARTY by Julie Reiner with Kaitlyn Goalen. © 2015 by Julie Reiner. Reprinted by permission of Grand Central Life and Style. All rights reserved. Brad Farran, one of our former head bartenders at Clover Club, came up with this buck (a family of refreshing ginger drinks), and it quickly became a favorite of mine. The interplay between the herbal nature of the Chartreuse and the bright zippy notes of tequila and pineapple is magical and unexpected. Shake the tequila, Chartreuse, pineapple juice, lime juice, and ginger syrup with ice until chilled. Strain into a Collins glass filled with ice. 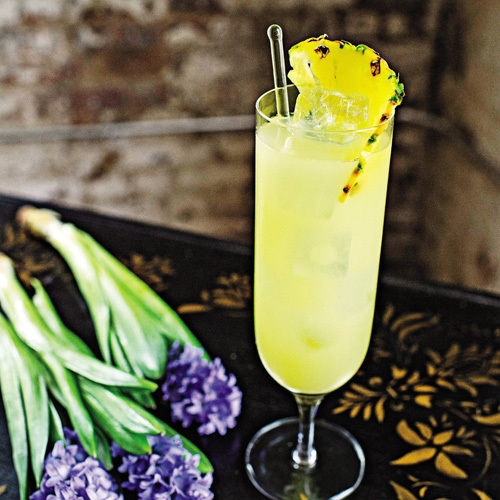 Garnish with the pineapple slice inside the glass.